Thinner, lighter high-index lenses are especially recommended if you have a strong eyeglass prescription for nearsightedness, farsightedness or astigmatism. But high-index lenses can make your eyeglasses noticeably slimmer, lighter and more attractive regardless of how strong your prescription is. Most eyeglass wearers are nearsighted, which requires corrective lenses that are thin in the center but thicker at the edge of the lens. The stronger the prescription, the thicker the edges (see lens drawings below). Eyeglass lenses correct refractive errors by bending (refracting) light as it passes through the lens. The amount of light-bending ability (lens power) that's needed to provide good vision is indicated on the eyeglass prescription provided by your eye doctor. Refractive errors and lens powers required to correct them are measured in units called diopters (D). 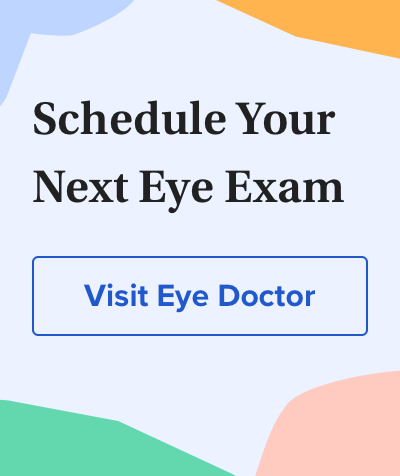 If you are mildly nearsighted, your lens prescription might say -2.00 D. If you are highly myopic, it might say -8.00 D.
If you are farsighted, you need "plus" (+) lenses, which are thicker in the center and thinner at the edge. Regular glass or plastic lenses for high amounts of nearsightedness or farsightedness can be quite thick and heavy. Fortunately, chemists have created a variety of new "high-index" plastic lens materials that bend light more efficiently. This means less material can be used in high-index lenses to correct the same amount of refractive error, which makes high-index plastic lenses both thinner and lighter than conventional glass or plastic lenses. Thinner. Because of their ability to bend light more efficiently, high-index lenses for nearsightedness have thinner edges than lenses with the same prescription power that are made of conventional plastic material. Lighter. Thinner edges require less lens material, which reduces the overall weight of the lenses. Lenses made of high-index plastic are lighter than the same lenses made in conventional plastic, so they're more comfortable to wear. High-index glass lenses also have thinner edges, but high-index glass is heavier than conventional glass, so there is not as much weight savings with glass as there is with plastic lenses. Lightweight lenses are even more of a benefit for farsighted prescriptions, which can make conventional lenses very heavy. And most high-index lenses also have an aspheric design, which gives them a slimmer, more attractive profile and reduces the magnified "bug-eye" look that conventional lenses cause in strong farsighted prescriptions. There is a wide variety of thin, lightweight high-index eyeglass lenses, based on how efficiently they bend light. The light-bending ability of eyeglass lenses is determined by the "index of refraction" of the lens material. This refractive index is the ratio of the speed of light when it travels through air to the speed of light when it passes through the lens material. The speed of light is reduced the more it is refracted as it passes through a lens material. Therefore, lenses that bend light more efficiently have a higher index of refraction than those that bend light less efficiently, and lenses with a higher refractive index are thinner than lenses of the same power made of materials of a lower refractive index. In short: the higher the refractive index, the thinner the lens. Conventional plastic lenses have a refractive index of approximately 1.50. For glass, it's 1.52. Any lens material with a refractive index that's higher than that of glass or plastic is considered to be high-index. High-index plastic lenses are now available in a wide variety of refractive indices, typically ranging from 1.53 to 1.74. Lenses with an index of refraction of 1.70 or higher typically are at least 50 percent thinner than conventional plastic lenses. Also, generally speaking, the higher the index, the higher the cost of the lenses. Your eyeglass prescription also determines what kind of high-index material you might want for your lens. The highest index materials are used primarily for the strongest prescriptions. If you want high-index lenses, be sure to ask for them. But rely on your eye doctor's or optician's advice regarding which index to use. Your eye care practitioner can explain which high-index lenses are the best choice for your needs and budget. Most of today's popular lens designs and features — including progressive lenses and photochromic lenses — are available in high-index materials. But there are exceptions, so ask your eye doctor or optician for details. All lens materials block some light from passing through the lens. This light reflects back from the lens surface, causing distractions and reducing the clarity of night vision. Conventional glass or plastic lenses reflect about 8 percent of light that otherwise would reach the eye. High-index lenses reflect up to 50 percent more light than conventional glass or plastic lenses. For the best vision and appearance, it's a good idea to have an anti-reflective lens coating (AR coating) applied to high-index lenses. AR-coated high-index lenses transmit up to 99.5 percent of light to the eye for optimum vision. And because AR coating virtually eliminates lens reflections, it makes high-index lenses appear nearly invisible, so others see your eyes, not your lenses. Also, studies have shown that eyeglass lenses with anti-reflective coatings provide sharper night vision with less glare — a real advantage for night drivers. Original version of this article was by Joseph L. Bruneni, FNA.